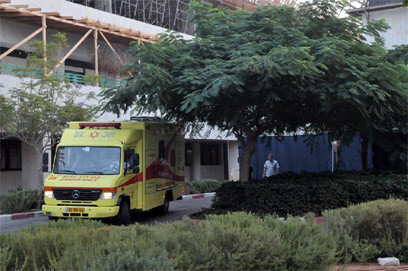 Nearly five years after he sank into a coma, former Prime Minister Ariel Sharon left the Chaim Sheba Medical Center at Tel Hashomer Friday morning for continued care at his own home in the Negev, Sycamore Ranch. Logistic and medical preparations for the move, requested by his sons, were completed overnight. At 6:25 am, the ambulance left the premises and began its journey south. The Shin Bet's bodyguard unit took care of security, and a police patrol vehicle plus medical staff accompanied the former prime minister. To decrease the chances of his being photographed, details of the move were kept under wraps, including the time of departure. Screens were also erected to retain privacy. The ambulance reached Sycamore Ranch at 7:20 am. Police and security personnel entered the premises before its arrival, and the road near the ranch was closed to traffic. Family members and staff waited inside the house, while his son Gilad stood by the ambulance. The move piqued the curiosity of the press, including the foreign press, which also covered the event. 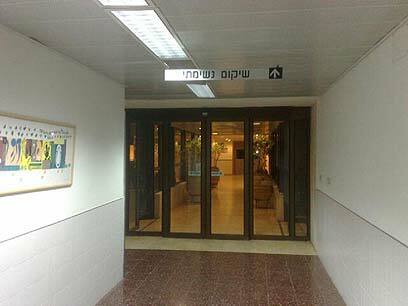 Police guarded the entrance to the medical center department in which Sharon was hospitalized and Shin Bet personnel continued to watch over his room. "The entire year that I've been here, I didn't really feel that one of the people here was the former prime minister," a young woman hospitalized in the same department said to Ynet. "We saw the security staff doing the rounds sometimes and his sons coming to visit, but apart from that we didn't really notice his presence. I don't think there'll be much difference whether he's here or not, but in any case we hope the move does him good." In a notice released Thursday, the medical center said, "In accordance with the family's wishes, the hospital staff is arranging the move of Ariel Sharon to Sycamore Ranch. The exact date for the move will be decided by the family and security staff. The family hopes to create – with supervision and training from hospital staff – a suitable medical environment that will enable Sharon to return to the ranch." Medical sources said Sharon would first be taken for a number of "vacations" to prepare the way for the complete move back to his home and family, "to the environment he loved so much." See all talkbacks "Ariel Sharon returns home"